Canon EF24-70mm F/4 L IS USM Lens. The EF 24-70mm f/4L IS USM is the perfect zoom to complement full-frame DSLRs like the EOS 6D. With 2 aspheric and 2 UD elements, the EF 24-70mm f/4L IS USM delivers high-quality images with excellent detail throughout the entire zoom range. A 9-blade circular diaphragm delivers beautiful, soft backgrounds. It offers a minimum focusing distance of 1.25 ft./0.38m across the entire zoom range and has a macro mode at the telephoto end with up to 0.7x magnification (minimum focusing distance becomes 7.87 in./0.2m) and is easily accessible with a one-touch switch. It features a Hybrid IS system with up to 4 stops of stabilization, compensating for both angular and shift types of camera shake, delivering effective stabilization even in macro. Inner focusing and ring-type USM deliver, fast, quiet AF, and full-time manual focus is available for manual focusing even while in AF mode. 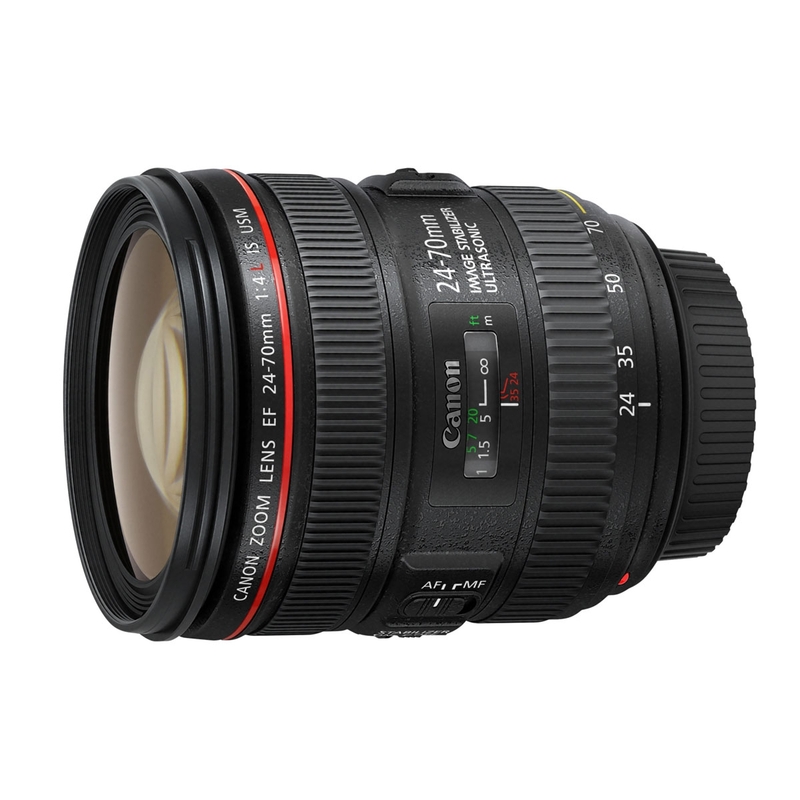 The durable EF 24-70mm f/4L IS USM is sealed for excellent dust and water resistance plus has fluorine coating on the front and rear elements reducing smears and fingerprints. Compact and lightweight, it's the perfect L-series lens for photographers on the go.